We don’t want to brag…OK maybe we do a little. It’s always nice to be recognized by your peers for all the hard work and ingenuity. But the only satisfaction we crave is for our clients expectations to be exceeded and their audience is impressed and moved to action by the video. 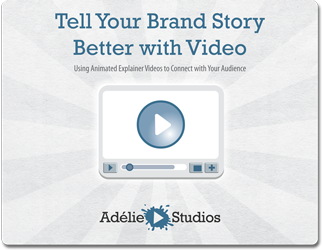 Over the years, Adelie Studios has received several notable awards; honors bestowed by some of the most respected advertising agencies, production companies, television stations, interactive agencies, and corporate video departments in the world. 2016: EXCEL Award from the Association Media & Publishing for National Council on Aging’s video. 2016: Award of Excellence from the Public Relations Society of America for AADE’s video. 2016: Association Media & Publishing Gold Award for National Council on Aging’s video. 2015: Gold Recognition in MarCom Awards for the employee video series produced for Aternity. 2014: Award of Distinction Recipient in Communicator Awards for MyVR. 2014: Telly Award winner for Discount Drug Network‘s explainer video. 2013: Communicator Award of Distinction for Stanford University’s Beyond the Bubble animated video. 2011: Bronze Telly Award for HubSpot’s “Captain Inbound” Series for best original branding video. 2011: Bronze Telly Award for HubSpot’s “Captain Inbound” Series for best series or campaign. 2011: Bronze Telly Award for Mojo Motors ‘how it works’ explainer video. 2010: Bronze Telly Award for JCSI – showcasing how they recruit using social media. 2009: Bronze Telly Award for Waste Management’s “Think Green From Home” video. 2009: Bronze Telly Award for Open Pages’ “We’re looking for the best” video. Thanks to all of our clients, employees and video enthusiasts everywhere. We couldn’t have done this without you!